We are passionate, independent and small batch distillers of tequila and growers of agave. Everything begins with the cultivation of the agave plant in Los Altos de Jalisco (highlands of Jalisco). Los Altos is considered one of the most desirable regions for tequila production due to the climate, rich soil and high elevation. It takes a minimum of eight years for an agave plant to reach maturity. After eight years of extensive care, jimadors then harvest each plant by hand using a coa de jima (a hoe with a flat, razor sharp head), carefully selecting each agave based upon its ripeness and sweetness. The farmers then use the coa to gracefully cut away the long stems until all that is left is the piña (Spanish for pineapple, this part of the plant can weigh 80 pounds or more). The piña is then halved and immediately transported to our facility. After the harvest, or jima, the agaves are steamed in our state-of-the-art autoclave ovens to create a smoother, cleaner, pure agave taste. Tequila Dos Alas maintains the age-old tradition of slow-cooking the agaves. This steam method cooks the pinas perfectly, helping to maintain the strong agave taste without the worry of caramelization, which can add dark or bitter flavors. 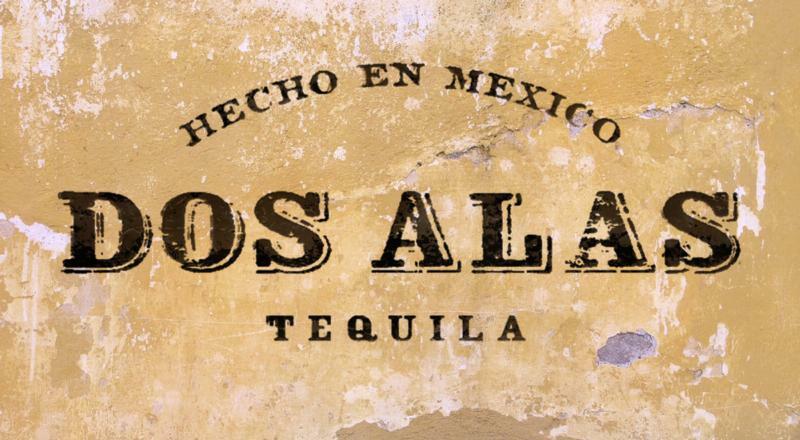 The fermentation process begins after the agave has been baked and shredded Dos Alas allows the agave juices to ferment slowly for 36-40 hours, creating a high-quality raw spirit. The spirit is ready for distillation immediately upon leavint the fermentation tanks. The first distillation removes any trace of wax or dust from the original plant, creating a liquid alcohol. When distilled a second time, the liquid alcohol then turns into tequila. Dos Alas Blanco is distilled a third time for a smoother taste.